Those of you who subscribe to my blog know that I will not shy away from the issues that need to be discussed, debated and contemplated. Tools to aid our progress are everywhere in the equestrian world and my view is that we might as well be as educated about them as possible. Often described as gadgets for the purposes of clarity I am calling anything beyond a simple snaffle and a plain cavesson a ‘gadget’. Today I want to talk about the ‘Draw Rein’ or ‘Running Rein’. Well, actually I’m not sure that I do. I have been to-ing and fro-ing in my mind about whether to even write this article, fearful of the inevitable back lash, given what I perceive to be a very strong resistant force against the use of draw reins, with no amount of unbiased thinking being wanted or indeed considered. Who is responsible for introducing them? They are said to have been invented by William Cavendish, first Duke of Newcastle who is more affectionately known as ‘the Father of Dressage’. In Cavendish’s day horses were not necessarily treated with kindness, indeed they were a status symbol, commodities to be used and cast aside when no longer useful, often grossly abused and forced to do man’s will with no consideration for the animal. Cavendish was influenced by kinder techniques he had experienced in the East and used the principle of teaching a horse to move away from pressure without being terrified or tormented; the essence of dressage as we know it today. He advocated mutual respect between horse and rider and appreciated and cherished the nobility of the horse. His lasting legacy is the laying of the foundations of modern classical style dressage which is underpinned by this approach. Cavendish became regarded as one of Europe’s greatest horsemen of his time. Widely acknowledged as an expert in ‘the art of manege’ his two manuals of horsemanship are still relevant and the kinder training techniques he used are very much to be aspired to today. As the ‘father’ of modern dressage, he brought the art of classical dressage to England, attaining perfection in the communication and unity between horse and rider. Despite their classical history, there is a good deal of controversy surrounding their use. This is not without foundation because undoubtedly it is very, very easy to be harsh with them and when used improperly, they can lead to disconnection, leaning and even bridle lameness in the horse. It is often argued that only skilled riders should use draw reins and those that are skilled don’t need them, intimating that there are no circumstances in which one might find draw reins of use and that if you can ride well enough you shouldn’t need them. In my opinion, this line of reasoning is fundamentally flawed because it supposes that a skilled rider can create forwardness, rhythm and relaxation, tempo, straightness and balance in every horse they sit on, regardless of its training history and takes no account of the horse that has already been trained ‘badly’ and has learned behaviours that are detrimental to its general way of going. A more valid argument might be that draw reins can and perhaps should be used by the experienced and skilled rider who knows how a horse should feel when properly ‘on the aids’ and is in need of help to replicate that feeling on an uneducated and/or ‘spoiled’ horse. You may ride and train many, many horses and never have any need of draw reins and then one day you get on that horse that has been taught to go so incorrectly that you head to the tack room to find the draw reins. Any skilled rider will clearly understand the pressures being exerted on the horse in their use; will give with the draw rein at every opportunity and will ensure that the horse has sufficient breaks in the training to fully stretch the top line muscles. I have known fellow equestrians who publicly denounce the use of auxiliary reins whilst quietly using side or draw reins, a demonstrable fact with which the dressage student has to come to terms. Truth be told, draw reins can help you to teach your horse to move forward onto the bit while maintaining a steady contact, and convey to him the idea of travelling straight and in balance. The problem is that we frequently see images of very well known so called ‘elite’ riders using questionable techniques on supposed advanced horses with the resultant total condemnation of the draw rein. They have been tarred by this association to the extent that no-one dare (publicly) mention that they might be useful. Experienced and skilled equestrians who make use of auxiliary reins should do so after giving the matter a great deal of thought and where they are deemed necessary for an inexperienced combination, they should only be used under supervision. They are an aid that can help a horse understand how the stretch of the neck and the lift of the back are good things. They are a means to an end and never an end in themselves. It is unfortunate that our tack shops have a vast array of ‘gadgets’ and ‘gizmos’ available (sometimes with a famous name endorsement) to anyone who walks in off the street; all with the promise of being able to turn your ordinary horse into a dressage diva without mention of the importance of correct technique. So, am I for or against? Please don’t think I am making a stand for or against the use of auxiliary reins. I know the benefits and I know the drawbacks, it simply grates a little when uneducated equestrians jump on the ‘it is not classical’ bandwagon without really knowing or bothering to find out the truth of the matter which is that every combination of rider/horse is unique and as such need a unique approach to their problems which may include the use of auxiliary reins. Each and every valid and proven training tool and training method has its advantages and its perils. The more powerful and sophisticated a tool is, the more valuable it can be, the double bridle is a case in point. This presents a dilemma, and many riders choose to reject these tools, because they can be potentially damaging. I think this is attitude is unhelpful, because it can lead nowhere, fast. Standing on a soap box, spouting the benefits of teaching the rider the correct seat aids, and how pulling in the front end is ‘a hide into nothing’, I also find unhelpful; in the real world enabling the horse to work from back to front takes skill and it takes time and lots of it. Yes, I hear you cry, you are using a shortcut and I condemn you for that also. But, perhaps a session to enable the horse to find the release over its back does not seem so bad compared to allowing the horse to continue to travel in a severely inverted posture (neck high and hollow back) for several more weeks? A case in point is documented when a horse participating in an Arthur Kottas clinic offered to move only inverted. After much effort and with many different suggestions for exercises, all without success, Kottas asked for draw reins, explaining that sometimes one must use such a tool to ‘show the horse’ what you want, so that you can effectively reward. Taking the moral high ground is all very well, but I say ‘let him who is without sin cast the first stone’. 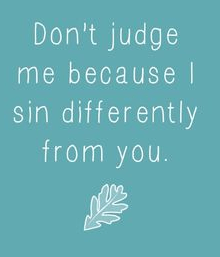 Many of us are not ‘without sin’ simply due to inexperience and/or lack of direction. It either works, or it doesn’t. In educated hands, they have proven useful in the training of hundreds of horses. In uneducated hands, they can be easily abused and end up causing more problems than they cure, often irreparable damage, but they are not alone and therefore should not be singled out as the root of all dressage evil. Just like the myriad of bits available, double bridles with over-tightened curbs, whips used to tap, tap, tap instead of leg aids, spurs (don’t get me started), ill fitting saddles and even nosebands, they can deliver a very uncomfortable and sometimes painful experience to your horse. Another of the ‘con- side’ arguments is that draw reins provide a false sense of accomplishment. I will not sit in judgement of this. Many of you know that it is through my own experiences that The Crystal System is being developed, borne out of a dreadful frustration and that the very reason I seem to know so much about training horses is because I have generally already made the mistake and as a result found an effective way. I know what it is like to struggle for what seems like an insurmountable period of time before finding what I believe to be the right method to help me, even begin to feel in harmony with my horse. I’ll take a sense of accomplishment over no accomplishment at all, false or not, thank you very much. Bottom line is that if the rider forces a false flexion and restricts the horse’s movement he is working only on the head and neck frame and not on the athletic development of the entire horse. The gaits can become irregular and short, the back can become stiff and sore, the horse avoids the contact through over-bending and becomes heavy on the forehand. As with everything you do in dressage a balanced approach is needed. If you choose draw reins to aid your progression, the horse must be ridden in a long enough frame, in their daily training until they begin to relax and reach for the contact with the rider’s hand. Taking up a contact too soon and/or too heavily will cramp the horse’s muscles. This problem exists with or without draw reins. I do not seek to influence you but merely inform and so I feel I must include the information I found about William Cavendish, the Duke of Newcastle’s reputation as an outstanding equestrian which was sullied somewhat when he introduced the draw reins into his stables. It is said that his horses bent in the middle of the neck, not at the poll, and travelled behind the bit. Draw your own conclusions and allow others to draw theirs.